Ask your question about SCAMS! | NoScams Scam Advisor! Want us to have a look at a website? Make a comment? Need help? Or you have story you like to share? 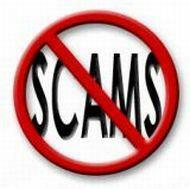 Maybe you are a scam victim? We like to hear from you! Hi, fine, congratulations to the site, do I need to know if this sites are reliable? http://www.cshyusb.com + http://szegtech.com – brand memory cards are most likely counterfeit. I would not buy here. http://www.ution-best.com – Might be legit, however, I would not buy unbranded memory. Authentic brand memory is cheap enough.